Jolly Grammar 1 & 2 follow on from Jolly Phonics (preschool) to the second and years of the programme and are suitable for the early primary stages. Letter sound knowledge is revised and refined and basic grammar concepts are introduced such as verbs, adjectives, nouns, sentence structures and the alphabet. 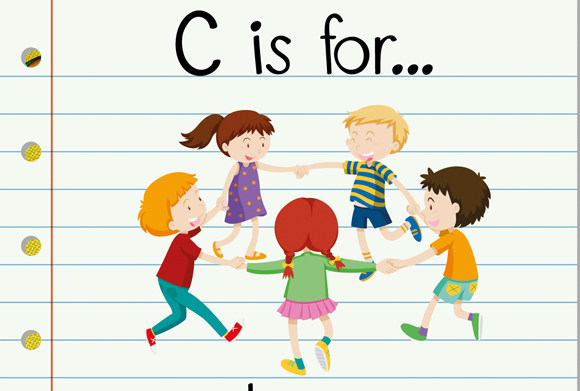 The first step of the programme or the Jolly Phonics Handbook introduces the first 42 main letter sounds or the “simple” or “basic” alphabetic code, concentrating on the 5 core skills that are necessary for reading, writing and spelling such as blending (decoding) and segmenting (encoding) words. 1) Read and write the first 42 letter sounds. 2) Hold a pencil correctly with the tripod grip. 3) Read and write short, simple, decodable words such as “sit”, “rain”, “bat”, etc. 4) Read and write some of the Tricky Words. Jolly Grammar consists of 2 lesson plans per week that are introduced over the 36 weeks in a typical school year. One weekly lesson plan continues to revise and introduce both familiar and new letter sounds and the second weekly lesson plan is dedicated to introducing basic grammar concepts to young children in a simple yet structured manner. Jolly Grammar is a multi-sensory programme that uses colour and actions to help introduce basic grammar concepts and there are many fun activity ideas and lesson plans that can be adapted and used in any educational setting. Exclusivamente para docentes que prestan servicios en centros públicos y concertados de enseñanzas no universitarias de régimen general y de régimen especial en la Comunidad Autónoma de Castilla- La Mancha. Profesorado de Educación Infantil y Primaria de centros sostenidos con fondos públicos. Las jornadas serán en inglés, por lo que se recomienda que los participantes tengan un nivel mínimo de B1. - Spelling and grammar content and progression over two years. - Examples of weekly spelling and grammar lessons. - Sentence construction using practical ideas and activities: sentence puzzles, independent writing and simple dictations. - Introducing proper and common nouns through visual props, games and art projects. - Introducing the alternative sounds and split digraphs and the complex alphabetic code. - ESL teaching through projects and art. - Kung-Fu Punctuation: punctuation fun for everyone! - Words webs and synonyms. - Dictionary skills and the Alphabet. - Introducing speech marks through simple comic strips and role-play. Estas jornadas se articulan en dos sesiones presenciales en TOLEDO de cuatro horas cada una. El control de asistencia a las sesiones presenciales se efectuará mediante el código QR que se le enviará una vez comience la acción formativa. Es necesario presentar el QR en las dos sesiones presenciales, ya que esta presentación sustituye a la firma en las hojas de asistencia. Es responsabilidad de los asistentes comprobar a lo largo de la duración de cada una de la sesión presencial que su asistencia está marcada en la plataforma. Para ello se accede a “Mi Expediente y Solicitudes”, en la parte inferior se encuentra el apartado de “Asistencia a sesiones presenciales”, ahí, además de poder descargarse los justificantes de asistencia a las sesiones presenciales, se puede comprobar que se ha marcado correctamente la asistencia a las mismas. En caso de incidencia, y siempre antes de abandonar la sesión presenciales en cuestión, se debe comunicar con el responsable de la lectura de los códigos QR para la resolución de la incidencia. Asistencia a las sesiones presenciales y realización de las tareas que en ellas se asignen. Se ruega que, antes de que termine la acción formativa el 8 de mayo, se rellene el cuestionario de opinión de la plataforma.